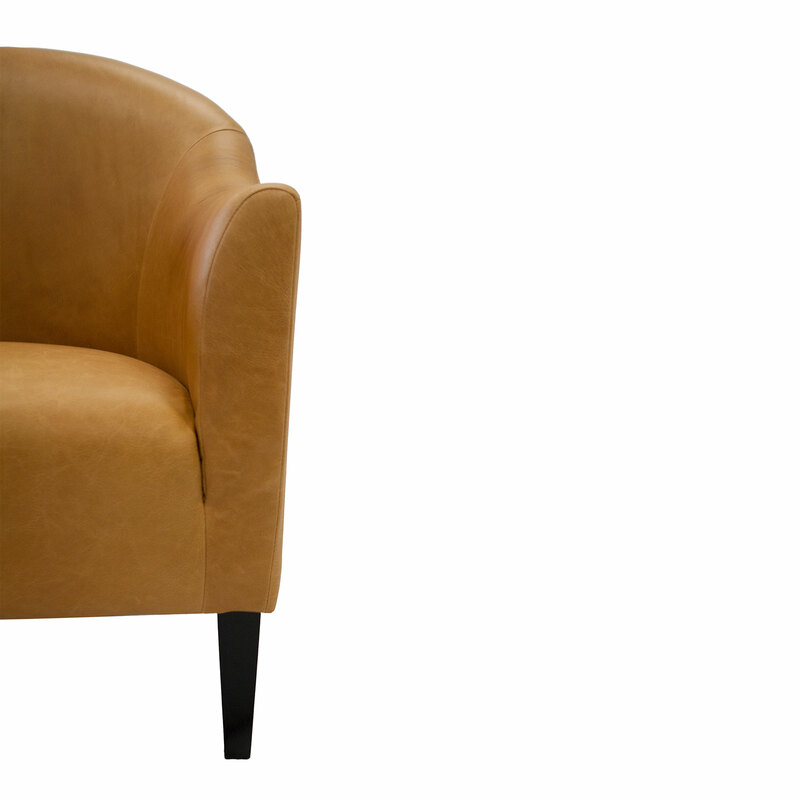 The Daniela is a prestige, contemporary-style accent chair. It is characterised by its elegant sculptural form, deep seat, and curved tub design. This versatile accent piece will work with a variety sofa styles. Pair these chairs together to create a unique, symmetrical setting, or use as a singular occasional chair in a bedroom or lounge room setting. Whatever the application, the clean lines and curvaceous style of the Daniela design lends itself equally well as a stylish addition to a classically-styled home, as it does a statement piece in a modern home. Displayed in exquisite coloured leather for an on-trend look, the Daniela chair also lends itself to any number of leather or fabrics options, for a completely individualised style to suit any decor. Accent chairs are the perfect opportunity to add unique expressions of bold colour and pattern into an interior. If you are looking to add a decorative touch, consider adding additional matching scatter cushions to your order, to decorate your room with soft furnishings that match back perfectly with your new chair. *Designs are subject to improvements or alterations and as such changes to standard construction techniques or dimensions may occur without notice. As Moran Furniture is bespoke, it is made by hand to your specifications. As such Moran does not offer a change of mind return policy. The reason is obvious as Moran cannot be left with furniture that it has specifically made for a customer. If there is a repair or replacement issue, such issue is based on Moran’s Claims Management Policy and Moran directs you to that Policy. It is Moran’s choice as to whether to repair or replace the furniture based upon the Claims Management Policy. Moran will choose whether to repair or replace an item and that is based on the following Claims management principle. When making a warranty claim the customer must contact debbieb@moranfurniture.com.au or contact us on 1300 786 222 to lodge a service request. Claims under warranty will require dated proof of purchase, the product tracking number and receipt of the registered warranty, plus photographic images to support the claim. The claim should be made promptly following the discovery of any alleged defect. In-home/onsite furniture inspections performed by an approved Moran repairer or agent are free of charge for the first 12 months. After this 12 month period expires a house call fee will apply to all inhome/onsite inspections. This fee is payable by the purchaser, however, if a manufacturing defect is found it will be refunded. Images represent the model style. Cover thumbnails represent the cover options on offer for this model. All images are photographic representations only. Please contact Moran Customer Service to view the most recent available physical samples. 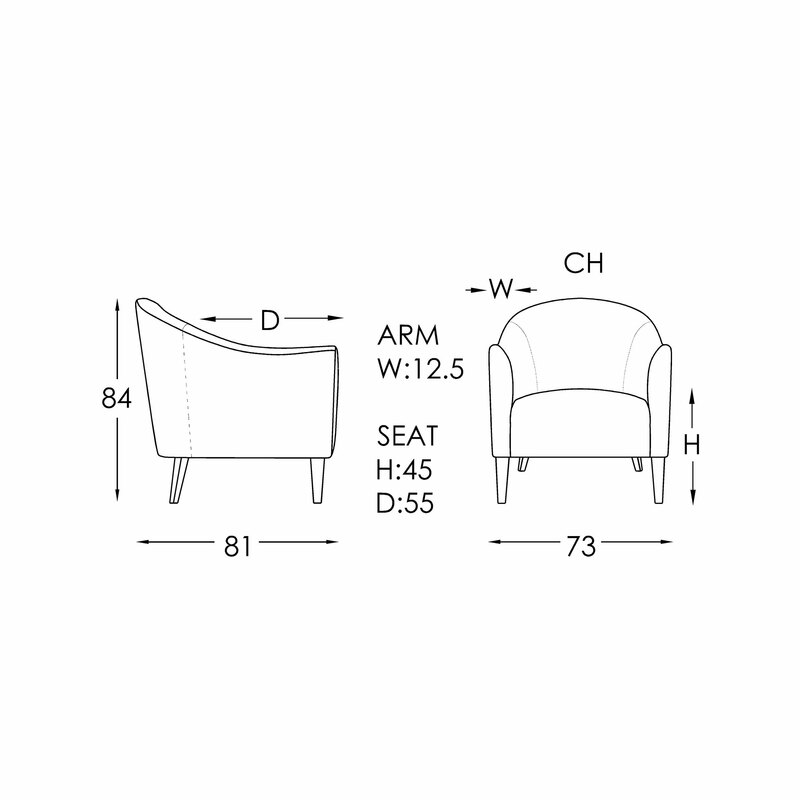 The Shelford Tub chair is an exquisite accent chair. Petite in size but full of character, this tub chair is big on personality. Featuring a gorgeous rounded back and uniquely curved, high arms, the Shelford Tub is a stunning example of the chesterfield style in a compact accent chair. Further enhanced by exquisite hand-tied diamond buttoning, leather pleats and hand studding detail along the arms makes this model truly striking from all angles. 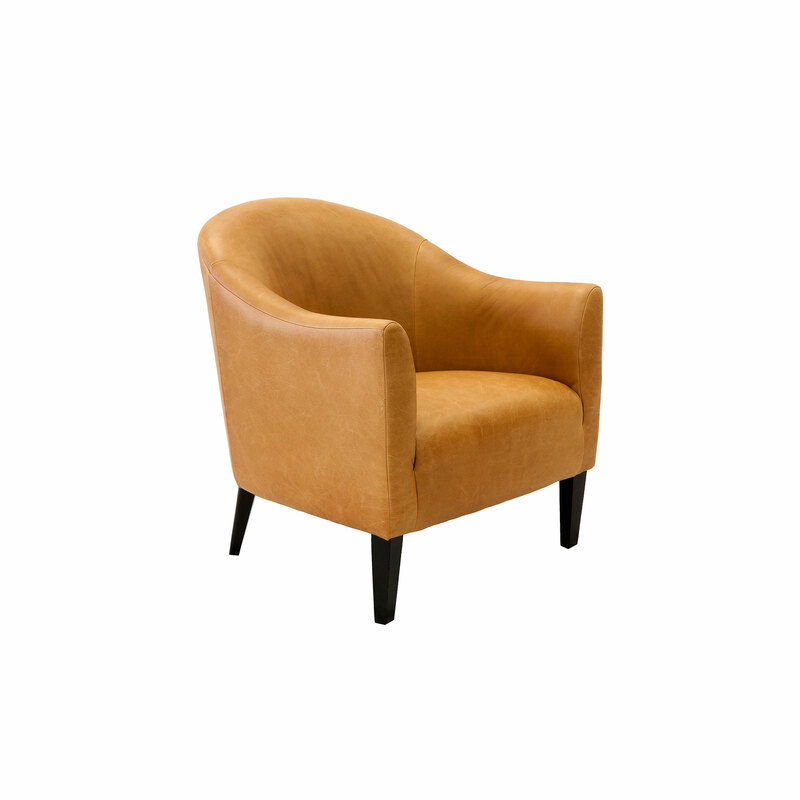 Place this chair in the centre of a room and make the Shelford Tub chair a spectacular feature piece in your room. The Savannah is a modern, wide arm sofa. Its sleek form features simple clean upholstery lines and the wide gentle flowing curve of the arms are subtle and elegant. Its proportions sit low, deep and generous. This design gives a real sense of gravitas, anchoring itself to the floor, defining a space and inviting you in. With the added benefit of a cleverly concealed double bed, you will always be prepared to accommodate unexpected guests in style and comfort at a moment's notice. The Oliver is an extremely popular sofa. Its high-back design is sought after for the exceptional supportive comfort it provides. This functionality is merged beautifully in a uniquely modern square design style. Rarely will you see a design so comfortable and yet so modern. Pillow-like layers of luxurious padding provides the ultimate in cushioned comfort for every surface for ultimate appeal. Piped edges neatly finish the edges all round creating an overall structured look and defining the tailoring. The Oliver sofa is extremely timeless style that will make the transition from a classic to modern home with ease. Its structured good looks keep this style looking neat all day and making relaxing at home in style effortless. It is no wonder why it has become one of Moran's most well recognised and loved designs with ever-lasting appeal. The Brubeck is a modern, compact, square arm sofa. Its simple clean lines, slender arm and contemporary form will make this sofa style an easy addition into your home. With the added benefit of a cleverly concealed double bed, you will always be prepared to accommodate unexpected guests in style and comfort at a moment's notice. The Dayton is a truly innovative recliner design. Featuring the latest in contoured seating comfort, the Dayton Recliner features three distinctive padded zones across the head and back to support you in the utmost of comfort. This modern recliner is easily identified by its unique curved cut-out arms and exquisite wood panelling. The Monet is a stunning little chair. Although compact in size, it is packed with many beautiful features. Smooth clean lines, a lovely high back, rounded seat cushion and base all finshed off with Moran's signature self-piping. The Monet's lovely slim, tapered arms flow effortlessly to a high back rest and is complemented with a tailored squared back cushion. The Monet's design is reminiscent of 1920's art deco styling and is a unique accent chair that is sure to be a conversation starter. Individualise this Monet chair with your choice of fabric to breathe life into what will be a stand out furniture piece in your home. A striking recliner with contemporary styling, the Admiral is a modern take on the classic recliner chair. Featuring clean, bold lines, generously padded arms and superb panel stitching detail throughout, the Admiral combines the comfort of a traditional recliner with modern good looks. Upholstered in crisp Tango Milk leather, the Admiral has a multitude of reclining options and is sure to become a family favourite in your home. The Raleigh is a beautiful, contemporary design in Moran's very popular range of Active Comfort chairs. Featuring attractive v-shape stitching along the back, its simplified design is ever-so-versatile, and will fit in well with a wide range of interior decor. The Professor chair is an exquisite accent chair. Petite in size but full of character, the Professor has a big personality. Featuring a gorgeous rounded back and uniquely curved, slender arms, the Professor is a stunning example of Art Deco inspired design. Its beauty is further enhanced by the precision hand studding detail along the arms and front of the chair; but what makes this model truly striking is the hand-studding detail along the back; thus enabling you to place the chair in the centre of a room and make the Professor a spectacular feature piece. The Salon is a unique and elegantly styled accent chair. Its curvacious silhouette created by its exposed timber frame and highlighted by a rattan mesh feature back that draws the eye, while the fully upholstered seat ensures a comfortable sit. The elegant details of the Salon adds warmth and visual lightness to a room making it a great counterpoint with many sofa settings. Make a decorator statement with a character filled chair that looks good from all angles. Accompanied with a loose feather filled lumbar cushion adds flexible seated comfort without detracting from the alluring beauty of this chair. The Dayton is a fresh and modern design in Moran's very popular range of Active Comfort chairs. The distinguishing feature of the Dayton Active Comfort chair is its precision panelling detail along the back and head, creating three very distinctive regions of pure cushioning comfort. The Voyager is a unique design in the very popular range of Moran Active Comfort chairs. This chair, with matching footstool, is upholstered in a contemporary full grain leather from Moran's best selling Dunbar range. The Maitland is a unique design in the very popular range of Moran Active Comfort chairs. The Maitland chair and inclusive matching footstool design may be upholstered in a select range of sophisticated fabrics one of Moran's most popular, exclusive, full grain leathers. The black leather and black timber combination create a highly sophisticated look for a contemporary interior style. The Maitland's distinct minimalist tailoring and generous cushioning offers tension relief from head to toe. Just choose your music playlist, sit back, relax and unwind. The Langham is a unique design in the very popular range of Moran Active Comfort chairs. Characterised by its broad back with triple waterfall panelling design, the Langham Active Comfort chair is sure to impress. The Alberta is the most elegant and versatile of accent chair. Featuring slender, tapered timber legs, meticulous self-piping, the Alberta is comfort and elegance rolled into one. Its design captures the curvaceous form of a classic high-back style chair, but with all the clean sophistication of a more sleek and modernised silhouette. The Alberta's stylish design makes it extremely versatile. Handling a multitude of fabrics, this character accent really comes to life in bold pattern. The exciting opportunities for personalisation of this chair through fabric selection will have this piece an enviable focal point in your room, fitting right in as a accent chair right for all occassions in the living room, bedroom or as the perfect reading chair in that little private nook in your home. All designs contained herein are owned/registered and remain the Intellectual property of Moran Furniture Pty Ltd. The furniture models and manufacture described in this literature relate exclusively to the designs produced by Moran Furniture. Availability of cover shown is subject to change. Improvements or alterations to design, construction techniques or dimensions may occur without notice. *Our obligations are subject to our formal, written guarantee. Copyright 2019 © Moran Furniture. All rights reserved.